At the time of his death he was an Assistant Professor of Romance Studies at Duke University. Born in Glasgow in 1964, he completed his Bachelor in Arts at Oxford University in 1987. In 1989, he earned his Master in Arts at Queen's University in Kingston, Canada, where he wrote a thesis entitled "El lenguaje proteico en las narrativas de Jose' Donoso" under the direction of Professor Mario Pinho. 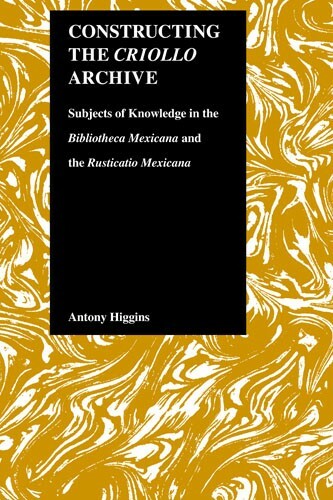 He pursued his doctoral degree at the University of Pittsburgh, and under the supervision of Professor John Beverly he wrote his dissertation entitled "Discourses of Criollo Knowledge in Juan Jose' de Eguiara y Eguren's Bibliotheca Mexicana and Rafael Landõ'var's Rusticatio Mexicana". He earned his doctoral degree from that institution in 1995. From 1995 to May 1999 he taught in the Department of Spanish and Portuguese at the University of New Mexico, where he taught a variety of graduate courses based on texts of the encounter and conquest, the emergence of criollo and mestizo literatures, literature of the period of colonial stabilization, and postcolonial theory. He also worked as a reader and book reviewer for prestigious journals such as Latin American Research Review, Colonial Latin American Historical Review, Revista de Crõ'tica Literaria Latinoamericana and Revista Iberoamericana.